A game of two halves is a well worn cliché, but that’s exactly what was witnessed at East Kilbride. In last Saturday’s game, the Pupils came back from the dead to seize three points from a match that looked well and truly lost. It is no exaggeration to say it could have been six by half time. The rampant home side completely outplayed the visitors who looked out of sorts and overwhelmed by the occasion. For those who witnessed the second half, what followed was one of the finest and most unlikely comebacks they will ever experience. Claremont blitzed the unsuspecting Pupils from the outset, scoring in their first attack of the match. Before a breath was drawn, a surging run and cross by Claremont’s tall centre-forward was promptly dispatched into the back of the net at the back post. It was a case of backs to the wall for the visitors who, after a number of close shaves, found themselves two behind midway through the first half. This time the damage was self-inflicted, when an innocuous cross from the left was palmed into the path of the incoming striker who scored with ease from close range. The alarm bells now ringing loudly, with 15 minutes of the half remaining the visitors somehow conjured a goal against the run of play. A breakout by Ryan Deans ended with a fine pass to set up Sary Rhama, whose pace and parting shot almost took the net away. The home side, however, were unrelenting in their efforts and deservedly restored a two-goal cushion with a goal just before the break. A reading of the riot act at half time appeared to have the desired effect as, after a number of changes, both positional and to personnel, the second period produced a whole new ball game. Leading the line from the front, the introduction of Cameron Wylie was the key to the comeback, his unrelenting efforts to close space soon rewarded as his team responded in kind. A quick interchange of passes between Deans and Grumoli brought its reward, leaving the latter free to curl a wonderful shot into the top corner of the net. The comeback was on. 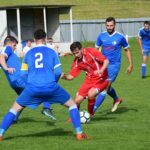 Liam Renton joined the act in the 69th minute of a strange match after a headed clearance met with a flush volley as a superbly struck shot thundered into the net for the equaliser. 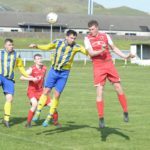 There was time aplenty for the Pupils to shoot themselves in the foot again, and Claremont regained the initiative when Fraser Wylie mistimed a clearance to send the ball into his own net. At the opposite end – possibly goal of the match. As if to return the gesture, a deep free kick from Renton produced another equaliser, the home defence’s attempted clearance rebounding off a fellow team mate and into the net. So came the final moments of the game, with Cameron Wylie again involved. A crunching challenge on Wylie seemed to be an obvious free kick, but the referee waved play on. 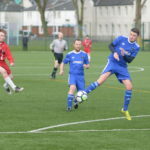 Gary Grumoli sent an inch perfect pass to the back post, for Ross Brown to score his first team goal and the Pupils’ eventual, but by now, deserved winner. In a cliff-hanging finish to a game that had everything, Alastair Ferguson produced a wonderful one-handed save to deflect a perfectly struck free kick to safety. 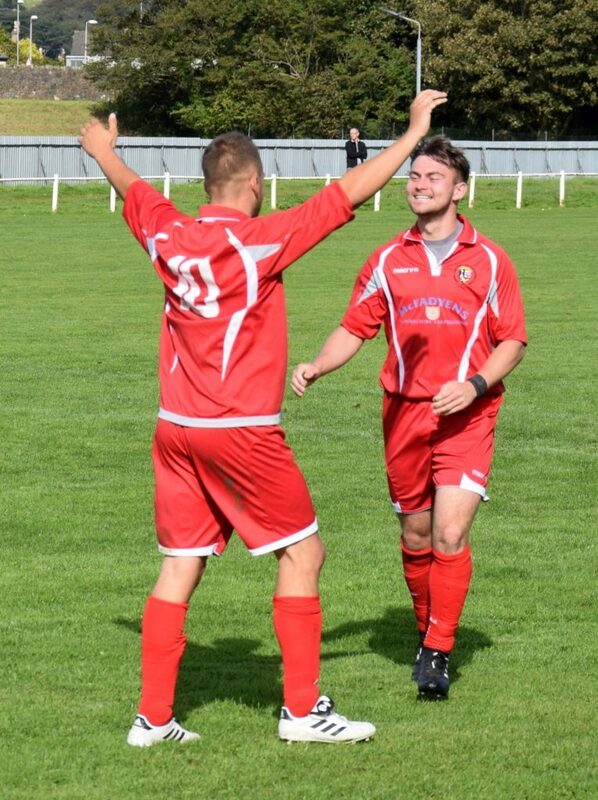 Campbeltown Pupils are at home tomorrow with a 2pm kick off against second-placed Neilston. See posters and social media for further information.